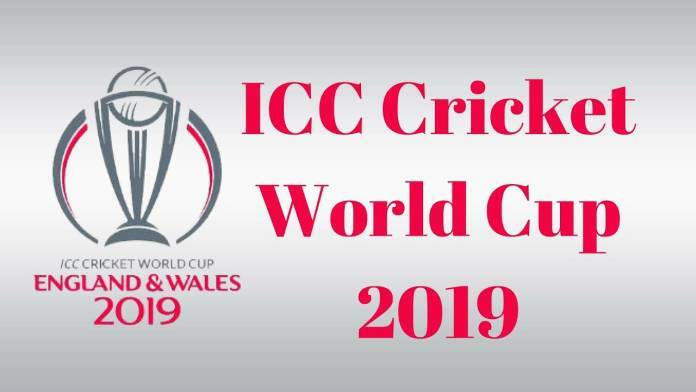 The 2019 Cricket World Cup (officially known as ICC Cricket World Cup 2019) scheduled to be hosted by England and Wales, from 30 May to 14 July 2019. It is the 12th edition of the Cricket World Cup. The 2019 World Cup will feature 10 teams, a decrease from previous World Cups in 2011 and 2015 which featured 14 teams. It is the fifth time that the Cricket World Cup will be held in England and Wales, following the 1975, 1979, 1983 and 1999 World Cups. New Delhi, April 20 (IANS) Placed seventh in the 12th edition of the Indian Premier League, Rajasthan Royals are toying with the idea of handing the captain's armband to former skipper Steve Smith as the team has managed to win just two games of the eight that they have played so far. The management believes that bringing him back at the helm might change their fortune. View More..
New Delhi, April 20 (IANS) Which is the one thing that has been consistent in the ongoing edition of the Indian Premier League (IPL)? One might say it has been the explosive batting performance from tainted Australian batsman David Warner, who has made a remarkable comeback to the cash-rich league after missing out the last edition. It can also be the as-expected winning run of the M.S. Dhoni-led Chennai Super Kings, or one might argue for the awful run by Royal Challengers Bangalore (RCB), which boasts of being led by the best batsman in the world at the moment. View More..
New Delhi, April 20 (IANS) It is well known that star Indian batsman Virat Kohli is fondly called 'chiku' by his teammates inside the national dressing room. Apart from this, Kohli has been given various other nicknames across the cricketing fraternity such as 'run machine', 'King Kohli', 'chase master', which people use while talking about his batting skills. View More..
Sydney, April 20 (IANS) The Pakistan Cricket Board (PCB) has given its nod to its Australian counterpart to play a day-night Test in the upcoming 2019-20 season. View More..
New Delhi, April 20 (IANS) BCCI Ombudsman D.K. Jain has asked all-rounder Hardik Pandya and opener K.L. Rahul to pay a sum of Rs 1 lakh each, to widows of 10 constables in paramilitary forces who have lost their lives on duty. They have also been asked to deposit Rs 10 lakh in the fund created for promotion of cricket for the blind as fine for their misconduct in chat show. View More..
Kolkata, April 20 (IANS) Terming the 10-run defeat to Royal Challengers Bangalore "sweet and sour", a disappointed Andre Russell did not mince words to say he should bat higher up the order in situations like these for Kolkata Knight Riders. View More..
Kolkata, April 20 (IANS) Seven spectators have been arrested in connection with cricket betting from the Eden Gardens here during the Indian Premier League (IPL) game between Kolkata Knight Riders (KKR) and Royal Challengers Bangalore (RCB), police said on Saturday. View More..
Mumbai, April 19 (IANS) After nearly three decades, ex-Congresswoman Priyanka V. Chaturvedi's grand entry to the Shiv Sena will bring a much-needed 'glamour quotient' to the Mumbai headquartered party. View More..
Melbourne, April 19 (IANS) Former South Africa batsman AB de Villiers has shown his interest to play in the upcoming season of the Big Bash League (BBL) in Australia. View More..
New Delhi, April 19 (IANS) Scotland all-rounder Con de Lange passed away on Friday morning after a lengthy battle with brain tumour. He was 38. View More..
New Delhi, April 19 (IANS) India's Test deputy Ajinkya Rahane has asked the Board of Control for Cricket in India (BCCI) to grant him permission to play county cricket for Hampshire in the months of May, June and mid-July. An application seeking permission has been sent by the batsman to the board and the same has been forwarded to the Supreme Court-appointed Committee of Administration (CoA). View More.. The BCCI's announcement of the 15-member India team for the forthcoming cricket World Cup in England and Wales has received a mixed reaction. The ones who gave it a thumbs-up were people who had already formed their opinion even before the selection. The common thread amongst them was that 90 per cent of the team had already established themselves and the question was to fill two insignificant spots, that too, if the need arose. View More..
New Delhi, April 19 (IANS) New Zealand women cricketer Hayley Jensen has married her former Melbourne Stars teammate Nicola Hancock. The wedding ceremony took place last weekend. View More..
New Delhi, April 19 (IANS) Flamboyant all-rounder Hardik Pandya was out of the Indian cricket for almost six months, owing to a back injury and a suspension he got from the Board of Control for Cricket in India (BCCI) for his comments on a chat show. View More..
New Delhi, April 19 (IANS) The wicket at the Ferozeshah Kotla once again came back to haunt Delhi Capitals and stop their three-match winning momentum on Thursday. And Kings XI Punjab will look to feed off that very advantage when they come to the Kotla on Saturday with some quality spinners in a side led by none other than R. Ashwin. View More..
New Delhi, April 19 (IANS) Explosive opener Rohit Sharma has become the third Indian batsman to score 8,000 runs in T20 cricket. He achieved the feat while playing for Mumbai Indians against Delhi Capitals in the ongoing edition of the Indian Premier League (IPL). View More..
New Delhi, April 18 (IANS) The Indian selectors have named the 15-member squad for the upcoming World Cup. While both all-rounder Hardik Pandya and opener K.L. Rahul are part of the squad, they are yet to get clearance from BCCI ombudsman D.K. Jain for making inappropriate comments in a television chat show. View More..